Saturday, April 15, 7 p.m. The Great Vigil of Easter – 7 p.m. on Saturday, April 15 – see the introduction below. Shared with Waldeck Lutheran Church. Easter Sunrise – 6:45 a.m. on Sunday, April 16, at the Carmine Cemetery. Bring a lawn or folding chair for seating. Shared with Waldeck Lutheran Church. 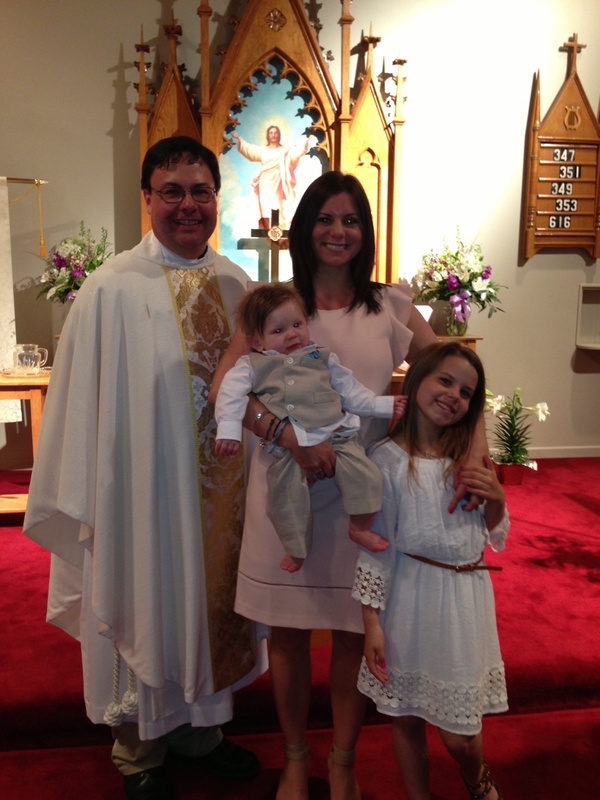 At the Great Vigil of Easter – Saturday, April 19, 2014, we welcomed three new Christians into God’s family: Tonia, Ally and Judd. Each of these received the Sacrament of Holy Baptism at the Vigil. We are very thankful for God’s gift of faith and the work he is already doing in the lives of these three. 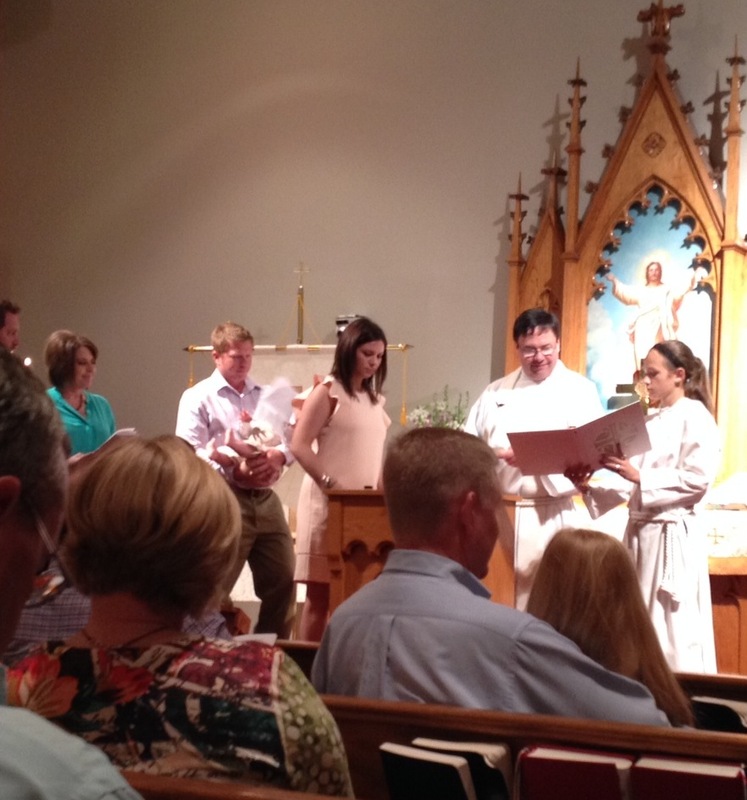 As newly baptized Christians they are also new members of MLLC. 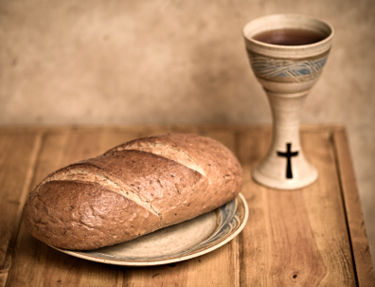 Ally and Tonia also received the Sacrament of Holy Communion for the first time as Christians at this service. It was a joyful evening for all involved. 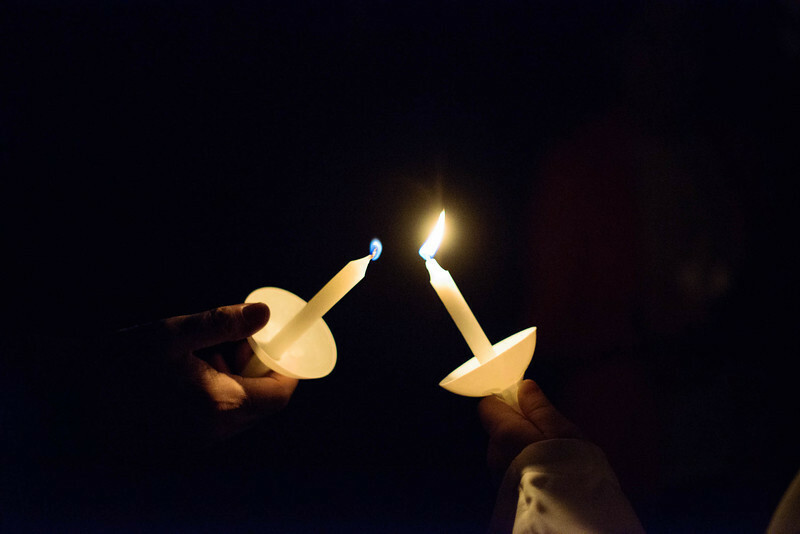 Check out this page to learn more about our Great Vigil of Easter. The Great Vigil of Easter is the ancient time when New Christians have been baptized. Every year, including 2014, thousands of people are baptized all over the world at Great Vigil of Easter services such as we had at MLLC. 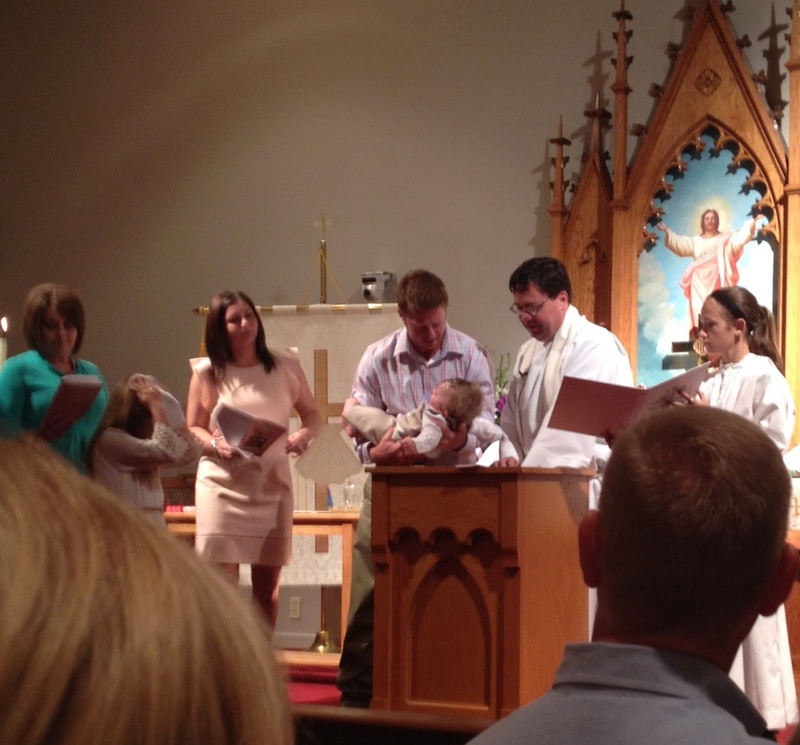 Many congregations also use this special service to receive new members into the congregation. My own son was baptized at the Great Vigil of Easter in 2004 at the congregation I served in North Liberty, Indiana, at that time. 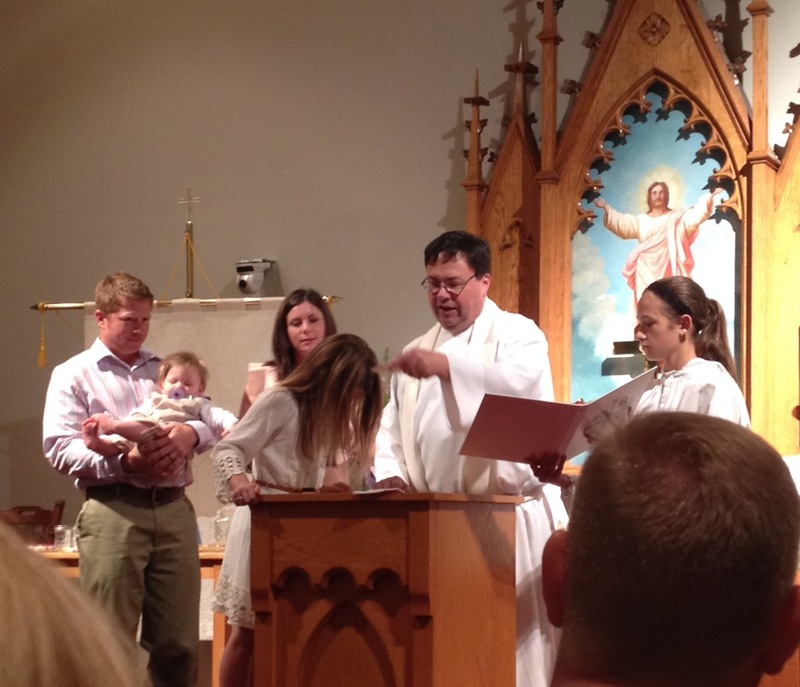 Here are some more photos from the baptisms of Tonia, Ally and Judd on April 19.